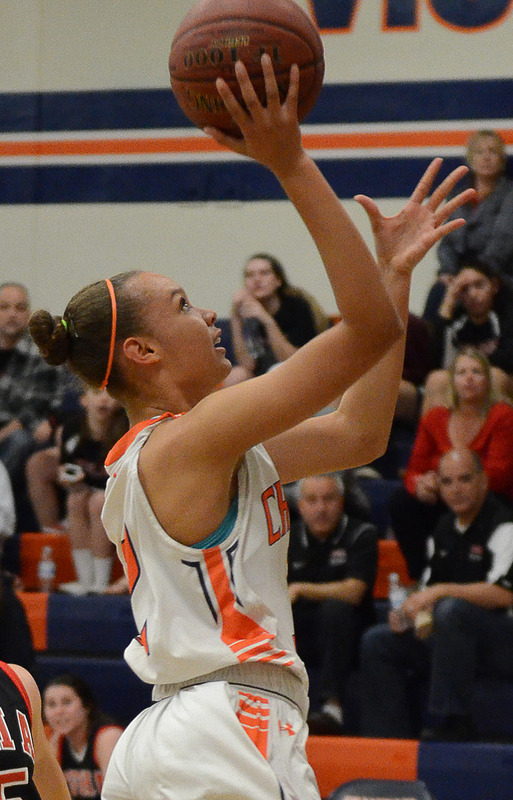 For the fourth year in a row, the Chaminade Girls’ Basketball team has won the Mission League title. They clinched the league championship on Tuesday, February 11, 2014 when they beat Alemany, 58-55. The Eagles overcame a 43-30 deficit in the third quarter, and were led by junior point guard, Paige Feckse, who scored 22 points and sophomore Valerie Higgins, who had 16 rebounds and scored 10 of her 14 points in the fourth quarter. Coach Kelli DiMuro and the team will find out on Friday, February 14 if they are selected for the Southern Section Open Division playoffs.